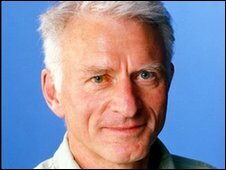 BBC Radio 3 and World Service presenter Charlie Gillett has died after a long illness, aged 68. Known as a champion of world music, the Lancashire-born broadcaster passed away in a London hospital on Wednesday, his family has confirmed. He contracted an autoimmune disease, and last week suffered a heart attack. Gillett is credited with discovering Dire Straits in 1976 after playing Sultans of Swing from their demo tape on his Radio London show Honky Tonk. He also wrote an acclaimed history of rock 'n' roll, The Sound of the City, in the 1970s. Fellow broadcaster Mark Lamarr, a friend of Gillett, said: "He championed so many great bands. "I've spoken to him at great length about so many different musical styles and he will always pinpoint the exact great moment that you should know about." Gillett was part of a panel who first coined the term "world music"
Lamarr described him as a "considered and passionate gentleman" and a "great broadcaster". "Before that he'd written the definitive book on the rise of popular music in the 20th Century," Lamarr added. "When I first met him, it was like meeting the rock 'n' roll equivalent of Dickens or Shakespeare." World Service director Peter Horrocks said Gillett was an inspiration whose spirit of adventure and passion for the rich diversity of global music opened the ears of the world. "His broadcasts brought together music and radio fans from far flung corners of the globe," he said. "His postbag was one of the biggest, most affectionate and diverse in Bush House, which confirmed his special place in listener's lives. He was a very special broadcaster and he will be sorely missed." Gillett stood down from his regular slot on Radio 3's World on 3 for health reasons two months ago. Born in Morecambe and brought up in Stockton-on-Tees, Cleveland, he brought stars of world music such as Youssou N'Dour, Salif Keita, and Portuguese singer Mariza to a wide audience. In the mid-70s, he managed Ian Dury while he was in his first band Kilburn and the High Roads. Notable successes with his label and publishing company, Oval Music, were Lene Lovich's Lucky Number and Paul Hardcastle's number one hit 19. The DJ also turned down an offer to present BBC Two's live music show The Old Grey Whistle Test. In 1979, he moved to commercial station Capital Radio, where he began to feature music from around the world. More recently he appeared on BBC London. 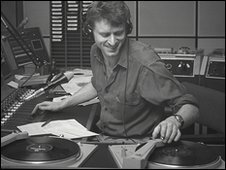 He was known to millions of listeners for his World Service programme Charlie Gillett's World of Music. He is survived by his wife Buffy, their daughters Suzy and Jody, their son Ivan, and two grandchildren.